Andrew, known as Sandy, was born on Friday 17 April 1885, at Swamp Oak Creek, to Samuel Hunter Magill and Margaret Towers. Sandy was their sixth child and third son. His baptism took place on Wednesday 13 May 1885 at St Nicholas Church, Tamworth. His sponsors were Conor and Maria Martin, how they are related, I’ve yet to determine. The family lived at Kootingal, 18kms from Tamworth on a property call Pine Ridge. It is here that Sandy grew up, eventually taking over the farm from his father. 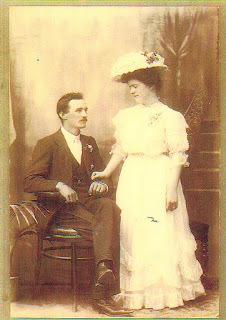 On Tuesday 29 October 1907, he married Edith Pearl Amelia Millar, at The Presbytery, Roman Catholic Church, Tamworth. 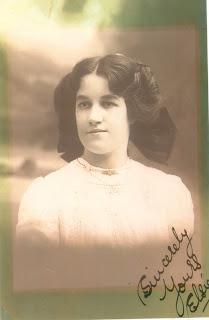 Edith was the daughter of Ralph Millar and Amelia Jane Hughes. They raised a family of 10 children, Margaret 1908, Andrew 1909, Ralph 1911, Edith 1914, Samuel 1916, Patrick 1918, Edna, Nora, John, Mervyn. 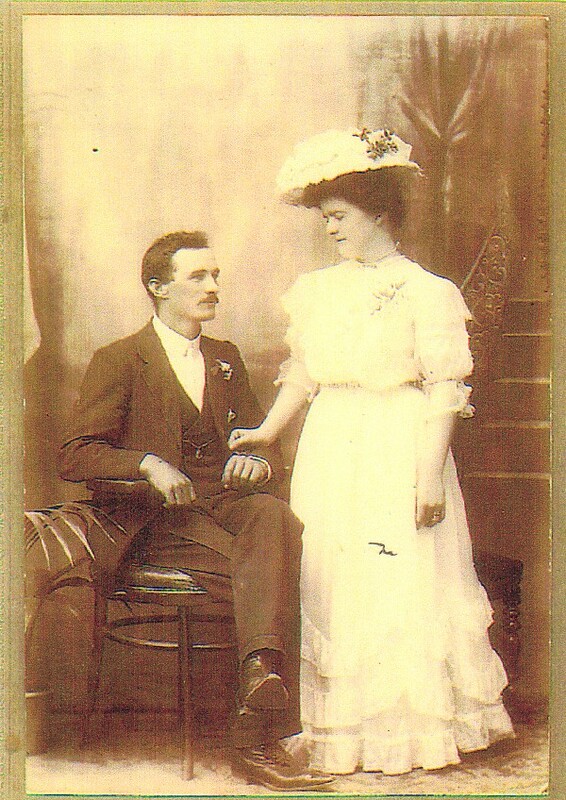 Andrew and Edith on their wedding day. Andrew died on Saturday 3 February 1945, at the Base Hospital, Tamworth and was survived by Edith and all of his children. He was buried the next day in the Moombie Cemetery, with his parents and baby sister. NSW Marriage certificate 1907/11834 481.